Breakfast is always on the menu in our home. We could happily eat it in the morning, for lunch, for dinner or even a late night snack. 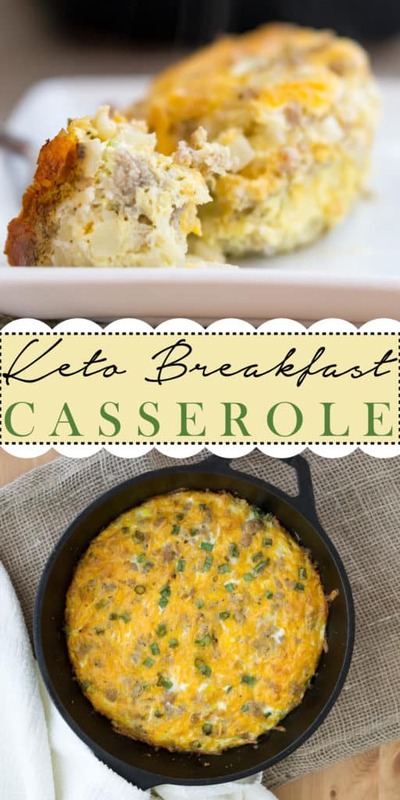 This Keto Breakfast Casserole is easily one of the simplest and most delicious casseroles we've made to date! Nothing beats eggs, cheese and meat - it'll always fall into your keto macros perfectly and leave you satisfied. Plus, you won't feel bad for going in for seconds or thirds! Anything that has two layers or more is by default a must eat food. 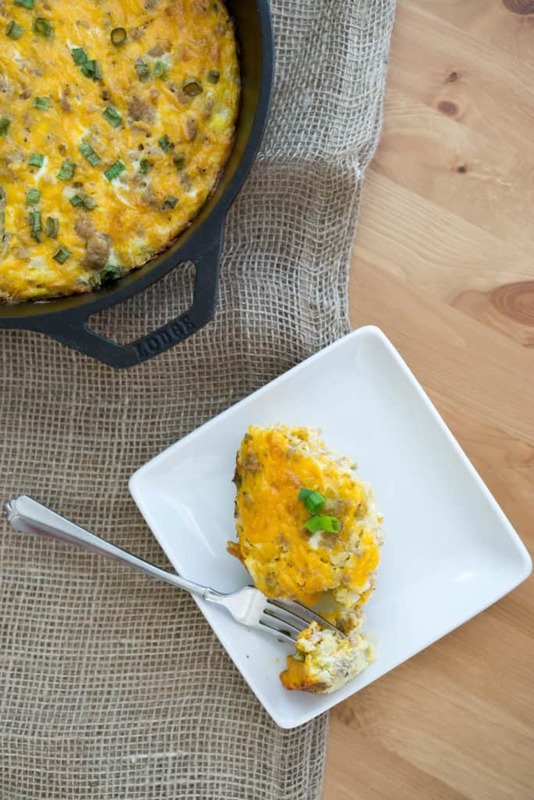 Burgers, pizzas, salads, and now breakfast casseroles. We started with a solid layer of cauliflower rice - veggies always make a great addition. Then, we topped it with some fatty, seasoned breakfast sausage. Who could say no to that? Next, of course, the mandatory heavy layer of cheese, and then why not some scallions for color and flavor? Naturally, you would think eggs come next, but we couldn't resist but to make a second, identical layer on top. So, now, every bite has double the fatty, delicious flavor! Our Favorite Low Carb Breakfast Foods! 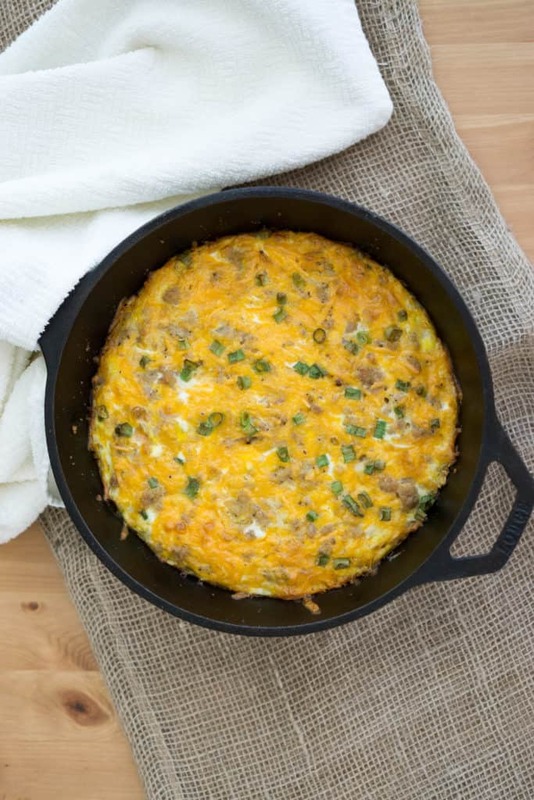 Eggs and meat can get old from time to time so a couple different low carb breakfast foods are good to have in your back pocket in times of need. Maybe you feed a big family or just need a little change up! Well, don't fret because we have a long list of options, and some of our favorites will become your new favorites too. Our macro pancakes are keto and macro friendly. Our keto oatmeal is a great replacement to your classic pre-keto oatmeal and our breakfast cookies are great for on the go and to pack in your kids' lunch boxes! Casseroles are my all time favorite meals. It could be a breakfast, dinner or dessert casserole and I'll excitedly dig right in. There is something about all the ingredients easily combined and cooked in one dish, and I can't forget the family style aspect of it, that I love so much! If you're also a casserole lover you're going to want to make our chicken enchilada casserole and our broccoli and sausage casserole! 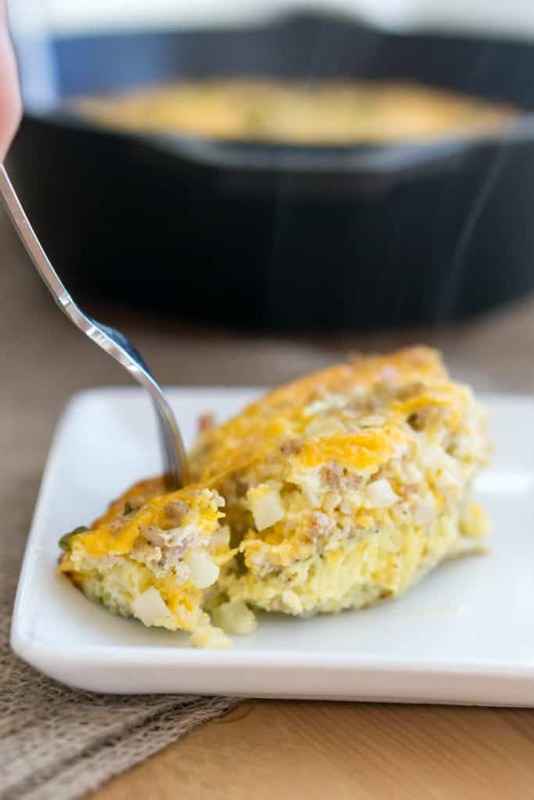 Regardless of whether you yourself are a casserole lover or not, someone you know is guaranteed to love this keto breakfast casserole, so go ahead and make it! 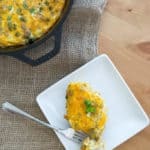 Recipe can be quickly added to MyFitnessPal - Search "KetoConnect - Keto Breakfast Casserole"
Preheat the oven to 350 degrees F and grease a casserole dish (9x13) with coconut oil spray. Heat a large skillet to medium-high heat and add the ground breakfast sausage to the skillet. Using a spatula break up the crumbles as it cooks. Remove cooked sausage from the skillet and set aside. Drain 70% of the grease from the skillet and add half the riced cauliflower to the skillet. Season with 1/2 tsp black pepper and 1/4 tsp salt and combine using a spoon soaking up most of the remaining sausage grease. First layer: Transfer the greased cauliflower to a casserole dish or large dutch oven. Layer on half of the cooked sausage, half of the cheese and half of the scallions. Second layer: spread the remaining cauliflower (not coated in sausage grease) on top, then the remaining sausage, cheese and scallions making two layers. Crack 10 large eggs into a large bowl and whisk to combine. Add 2 tbsp heavy whipping cream and season with 1/2 tsp black pepper and 1/4 tsp salt. Whisk to combine. Pour the egg mixture over the two layers in the casserole dish and bake for 35-40 minutes.